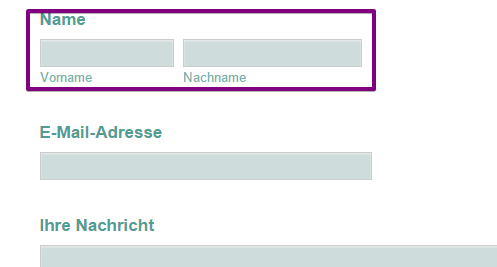 Can I merge the two fields for christian name and family name into one field? Are you referring to this field? If this is correct, then you can remove that field and use a normal textbox to capture the full name instead. Yes, thanks. That was helpful. Please free to contact us if you need additional assistance.